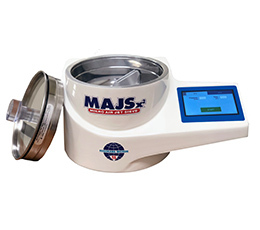 The Mikro Air Jet Sieve® - model MAJSx2 is a highly accurate and reliable particle size analyzer designed for determining the particle size distribution of dry powders ranging from 20 μm / #635 (mesh) to 4,750 μm / #4 (mesh). The Mikro Air Jet Sieve® model MAJSx2 is the economical solution to particle size analysis. 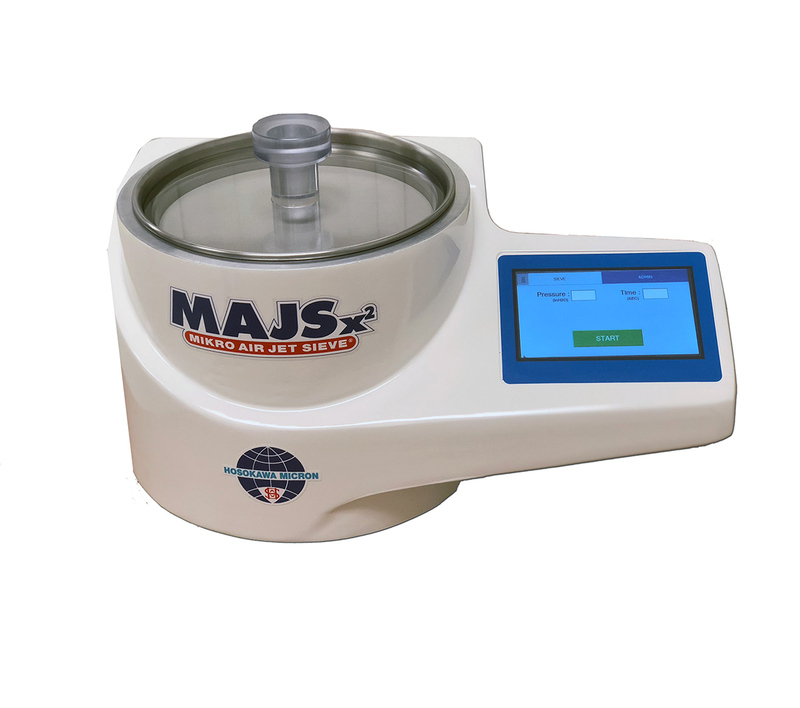 The Mikro Air Jet Sieve® model MAJSx2 is simple to operate and quickly determines the particle size of a powdered sample using a short series of test sieve screens. The system utilizes the pneumatic sieving principle to enhance the accuracy and reproducibility of particle size analysis. Use of the Air Jet Sieve has become the preferred method for such tasks as quality assurance of incoming raw materials, process control, and the confirmation of final product specifications. A positive airflow is introduced upwards through a rotating slit wand. 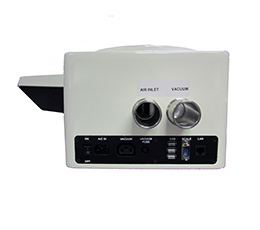 This airflow disperses and deagglomerates the powder sample, resulting in a more accurate analysis. Any particles finer then the test sieve screen opening are carried by the negative pressure airflow to a vacuum collector or an optional cyclone. When using air jet sieving to determine particle size, there are four key operating parameters that need to be consistent to produce repeatable and reliable results. Sieving Time – The sieving time plays a big role in determining particle size with an air jet sieve. Excessive sieving time can lead to particle degradation due to attrition. 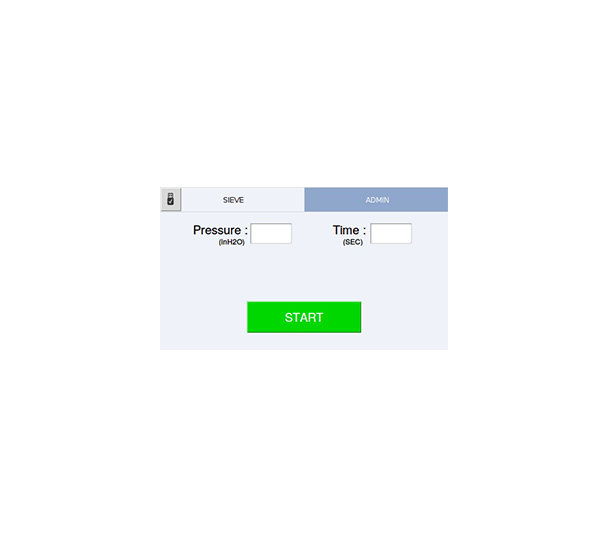 In most dry powder applications, Hosokawa recommends a sieving time cycle of two minutes. Two minutes provides ample time for all of the particles to have an opportunity to contact the test sieve screen cloth and either pass through the opening or stay on top. 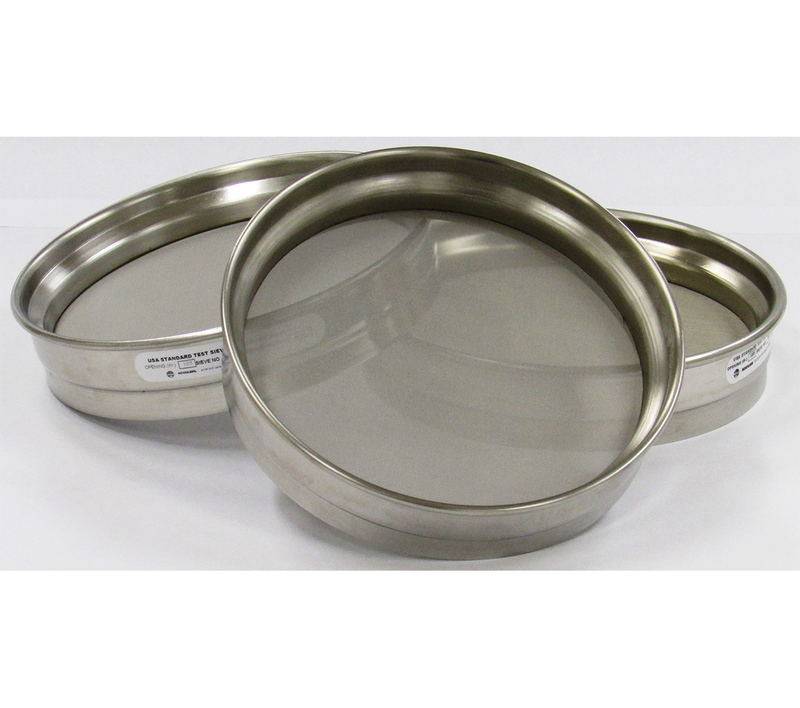 Sieving Vacuum Pressure – During the sieve analysis a vacuum pressure of 8 to 16 inch water column is recommended. Should the pressure be too high, there is a possibility to cause additional grinding of the sample by means of attrition. Should the pressure be too low, the sample may not be distributed across the test sieve screen adequately. Sample Volume – A sample between 10 to 100 grams is recommended. Samples greater than 100 grams can affect the analysis results. 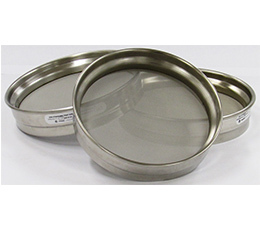 Test Sieve Screen Quality – The integrity of a test sieve screen is critical in any particle size analysis process. Hosokawa Micron Powder Systems’ only provides test sieve screens that are 99% accurate. These high quality test sieve screens help assure accurate results. Test Sieve screens with damage such as holes, tears, scratches, waves or other imperfections are not recommended. Sieve screens should be recertified as recommend by the manufacture on a routine basis. Pneumatic sieving disperses and deagglomerates the sample while continuously cleaning the test sieve screen. Light weight – only 26 lbs. BALANCES: Accurate sample and test sieve screen weighing is critical in determining particle size. 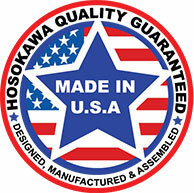 Hosokawa can provide reliable and proven balances for use with your particle size analyzer that can be integrated into the process. 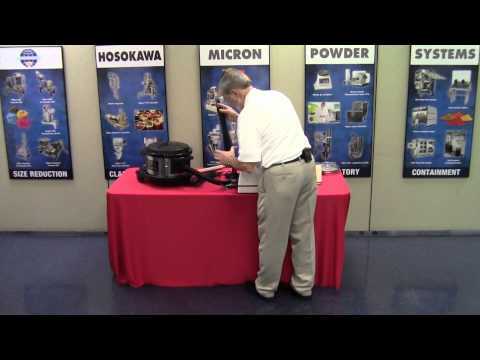 VACUUMS: Hosokawa Micron Powder Systems strongly encourages customers to purchase and utilize the industrial vacuums recommended by Hosokawa Micron Powder Systems. 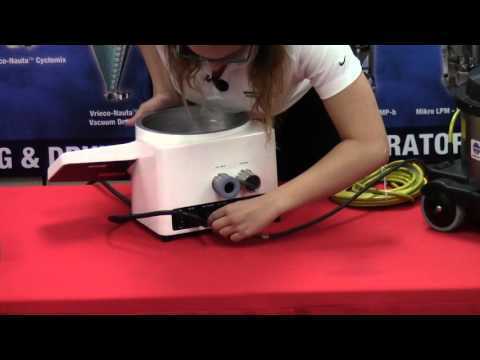 The vacuums recommended have been specifically selected to ensure performance and repeatable results. CYCLONE: The Hosokawa High Efficiency Cyclone, model VME 2.1 is a laboratory scale particle collection device, often paired with the Mikro Air Jet Sieve® model MAJSx2. In order to recover up to 98% of materials above 10 µm, the Cyclone must be installed between the Mikro Air Jet Sieve® model MAJSx2 discharge and the vacuum inlet. 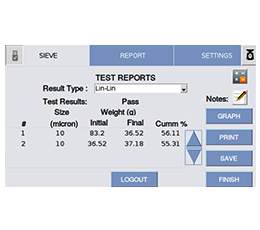 This option allows users to collect materials smaller than the individual test sieve screen after particle sizing for collection or further analysis. The easily cleaned cyclone is constructed in 316 stainless steel and is supplied with a glass collection jar. 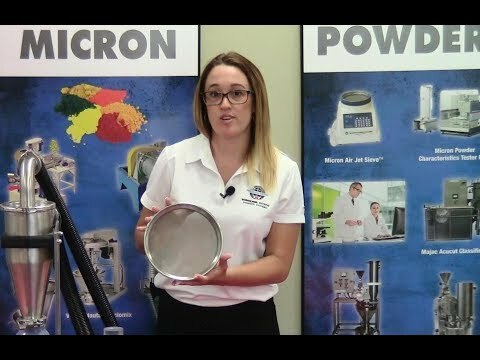 Hosokawa Micron Powder Systems offers a wide selection of stainless steel frame and cloth test sieve screens ranging from 20 μm (#635) up to 4,750 μm (#4). The test sieve screens have a die stamped frame and are supplied with a Certificate of Conformance and a Certified Histogram, meeting ASTM-E11 standards. The test sieve screens are manufactured with highly accurate, Inspection Grade sieve cloth and are guaranteed to be at least 99% accurate. All test sieve screens are individually packed and supplied with a sealing O-Ring. 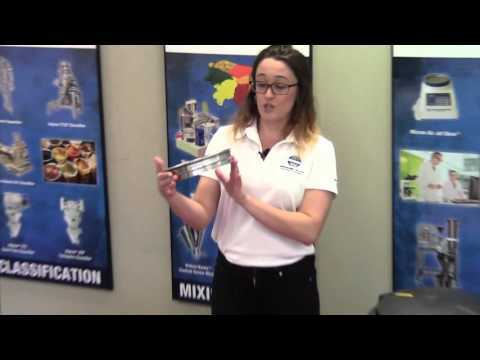 Pricing of the Hosokawa’s Air Jet Sieves start around $4,400 for certified pre-owned analyzers and goes up to $19,000 for the most advanced system with required ancillaries and optional cyclone. 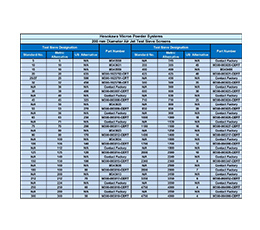 Prices for Air Jet Sieves differ depending on the number of sieve screens required, vacuum selected, balance type, optional components, taxes and shipping costs. 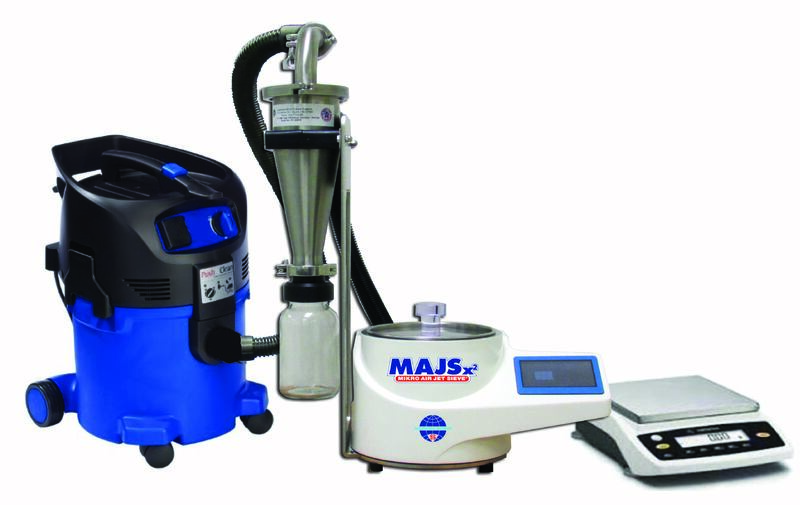 Hosokawa’s Mikro Air Jet Sieve® model MAJSx2 Particle Size Analyzers are more economical than laser diffraction analyzer and more accurate than oscillating or shacking sieving devices. 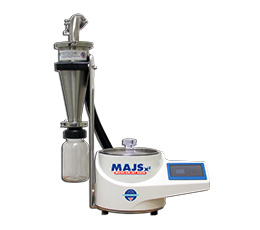 Additionally, the Mikro Air Jet Sieve® model MAJSx2 is easy to operate and maintain. 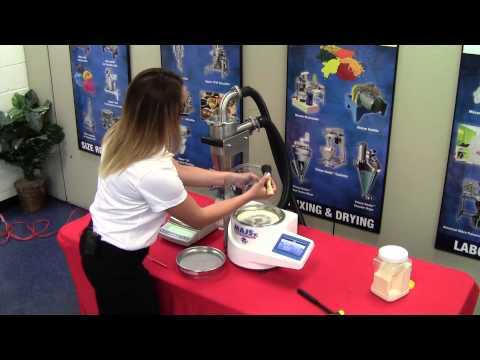 Anyone can be trained to perform a particle size analysis within a few hours. 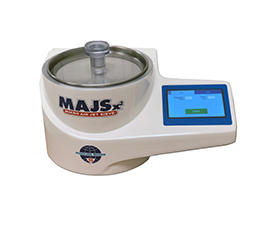 The Mikro Air Jet Sieve® model MAJSx2 is a highly versatile particle size analyzer used by hundreds of laboratories around the world testing thousands of materials. 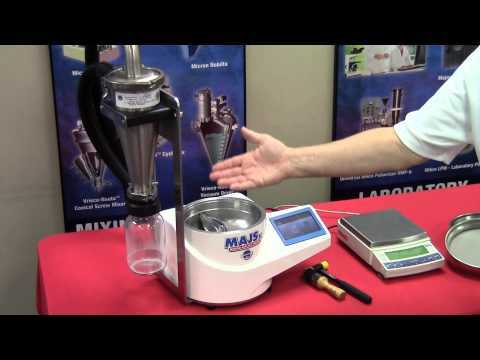 Most customers use the Mikro Air Jet Sieve® model MAJSx2 to determine the particle size of dry powder ranging from as fine as 20 µm / #635 (mesh) up to 4,750 µm / #4 (mesh). 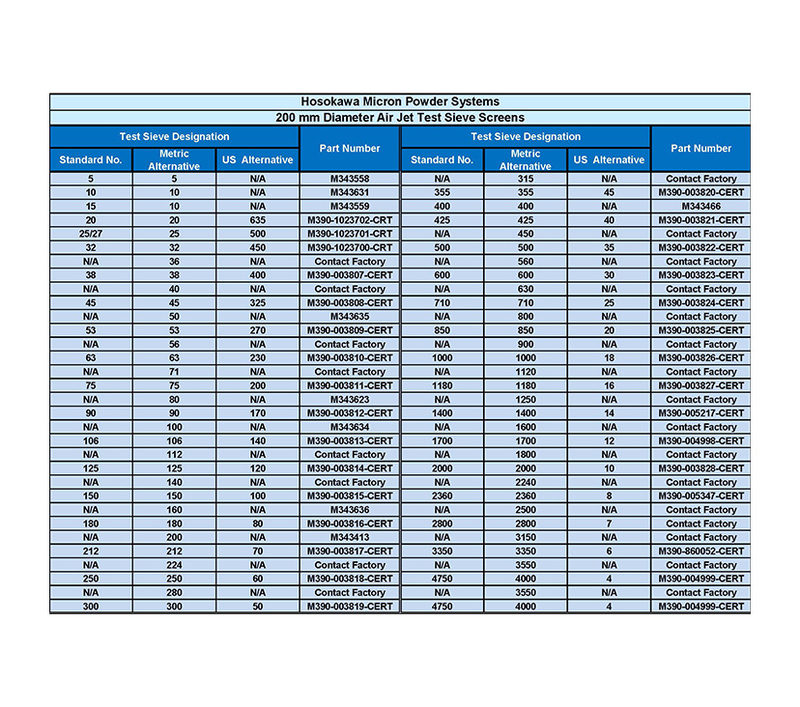 Some customer use it to determine the average particle size below a specified cut point; for example, D90 < 50 µm while other customers use it to confirm a powder top size does not exceed product specifications. 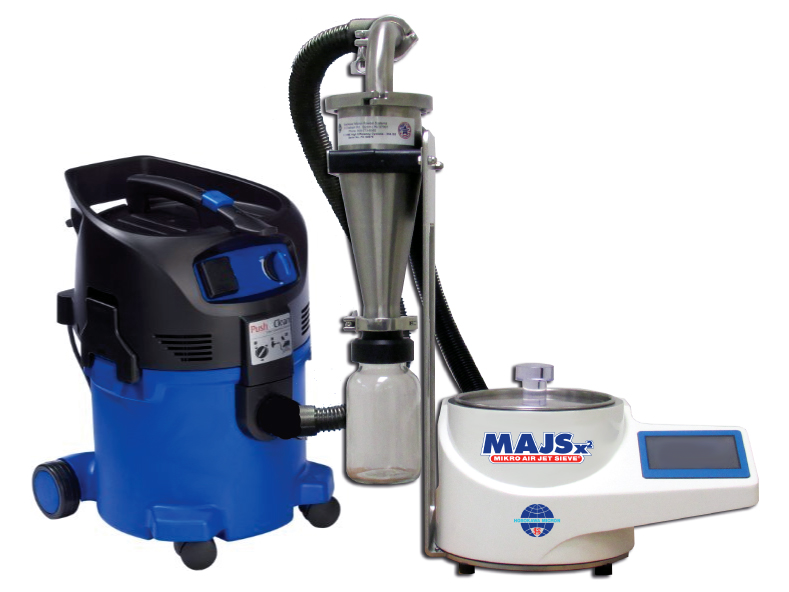 The Mikro Air Jet Sieve® model MAJSx2 can even be used as a small lab scale classifier to cut the fine portion out of a sample or used as a dedusting system to remove undesirable fine dust from small batches of product. 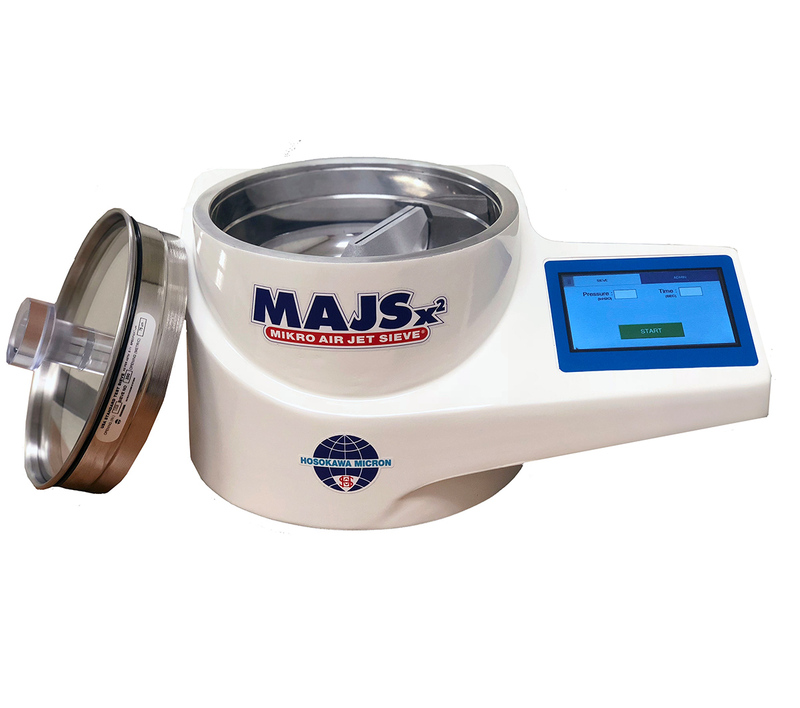 In the basic mode, the Mikro Air Jet Sieve® model MAJSx2 allows operators to utilize the basic functions of the particle size analyzer to screen materials and manually determine the amount of material retained or passed. This version is most suitable for applications where operators need to quickly evaluate the particle size at a specific micron size. 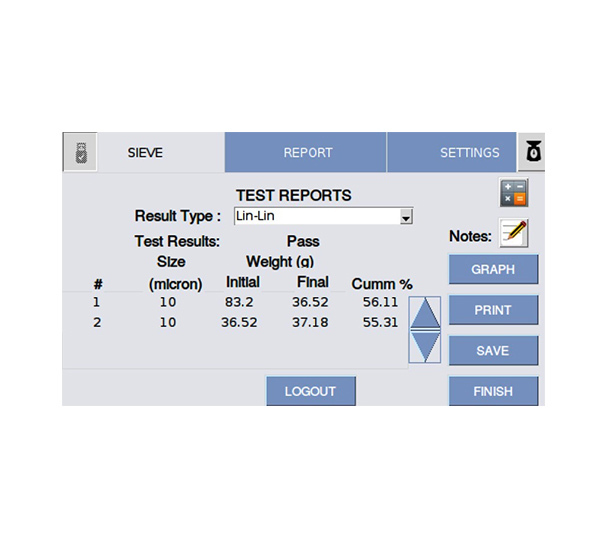 The advanced mode utilized the built-in touch screen computer to collect and calculate particle sizes from a number of test sieve screens, generating a distribution. 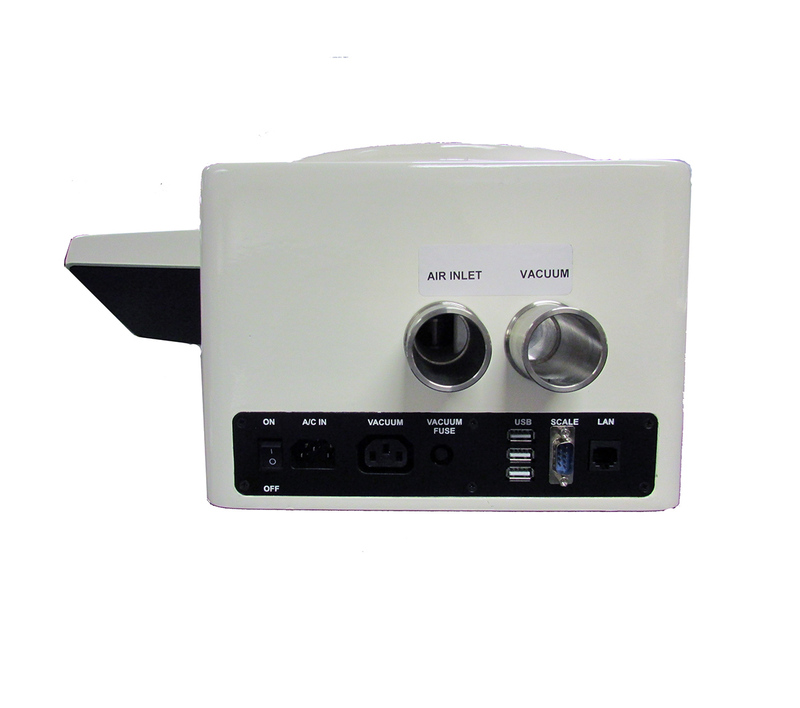 Additionally, the operator can connect the Mikro Air Jet Sieve® model MAJSx2 to a compatible balance and printer. 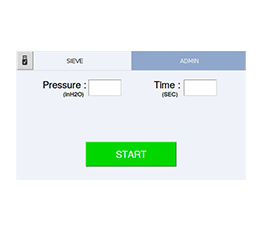 This version is the most versatile and, as a result of the menu guided software, the easiest operate. Join our mail list: Hosokawa may occasionally send you email message regarding upcoming events, webinars and other programs. We promise you will be glad you joined our list. If you are not completely satisfied with what we send you, feel free to unsubscribe anytime. Read more about our privacy commitment on our disclaimer page. 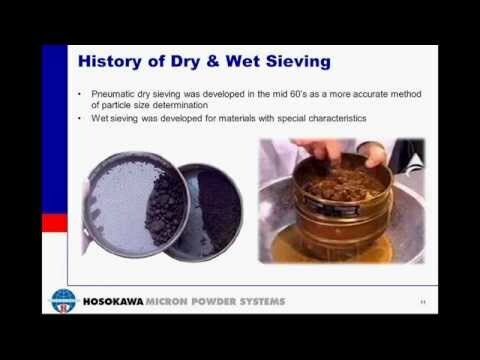 Hosokawa developed Air Jet Sieving technology in early 1960’s to quickly determine particle sizes for dry powders. Our Air Jet Sieves are designed, manufactured and assembled in the USA and come with our pledge of performance and guaranteed dependability. Hosokawa’s Air Jet Sieves have the reputation for accuracy and reliability with thousands of installations worldwide.